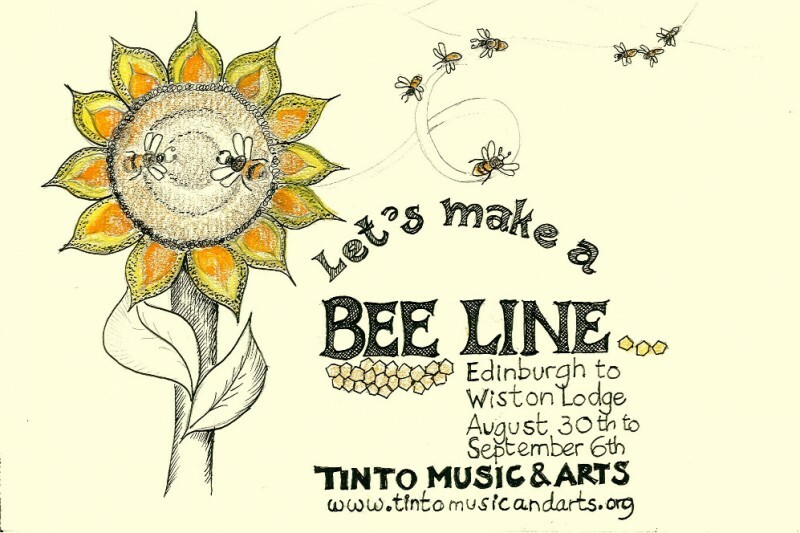 Motivated by the plight of the Honey Bee, Meg Beresford, Director of Tinto Music and Arts, will go on a walkabout during late August and early September 2016 to secure the funds to put together a consciousness raising event over the Easter weekend of 2017. 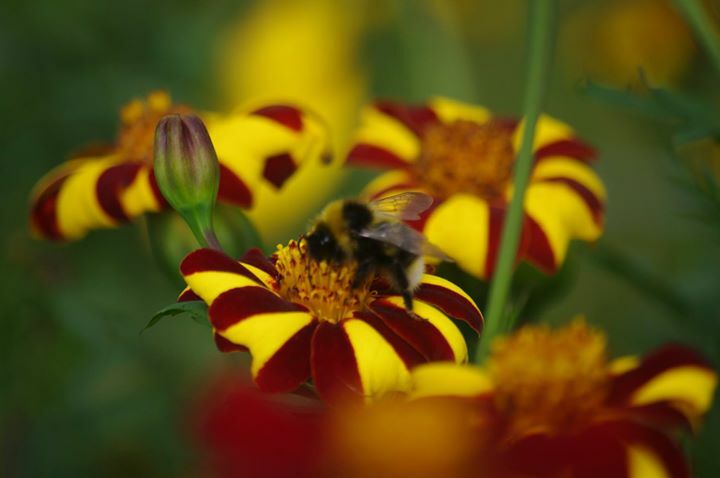 The event will bring together internationally renowned authors and speakers on the subject and will host workshops and Live Music, all within the Bee related theme. A Human Bee In, if you like. Her walkabout route will take her from Edinburgh’s Botanic Gardens to Wiston Lodge, passing through a number of other Gardens and Parks along the 10 day route. At the end of each days walk there will be an evening event, a talk, a workshop or live music to attend. 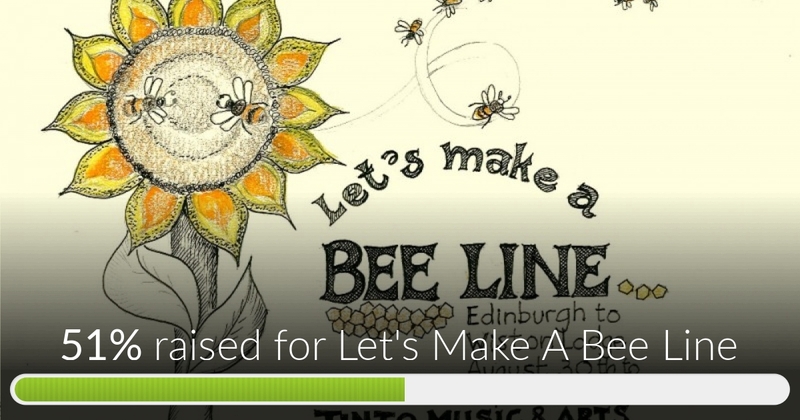 (More information to follow shortly) and then with funds raised Tinto Music and Arts will put on the Easter Bee In. So...ladies and Gentlemen...The Beeline has been walked and we have raised a fabulous sum of £2317. The blog at https://makeabeeline.org/ will continue and we will remain open for donations here up until the HumanBe In at Easter 2017. £2177 raised so far. Open for donations and entry to photo comp until Sept 14th. Heading into the last day and we are a smidgin away from £2000 raised. AMAZING. Thank You All so much for your fantastic support. 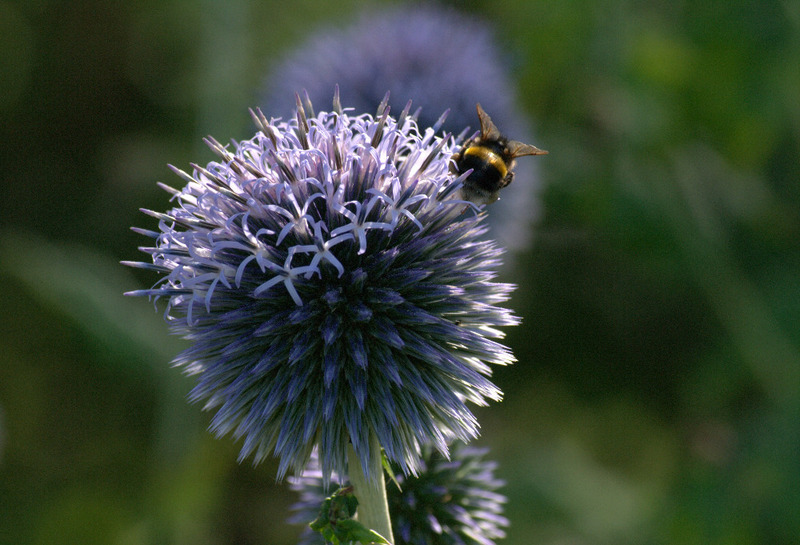 Still a chance to donate and enter the prize draw for this photograph, framed at 9" x 6"
Let's Make A Bee Line has reached 51% of it's target. Thank You all for your support.